Official time limit is 6 hours. If runners are on the course after that time or after the pylons are removed they must move to the sidewalks. Official timing cannot be guaranteed after 2:00 pm when the course closes. Official time limit is 8 hours. 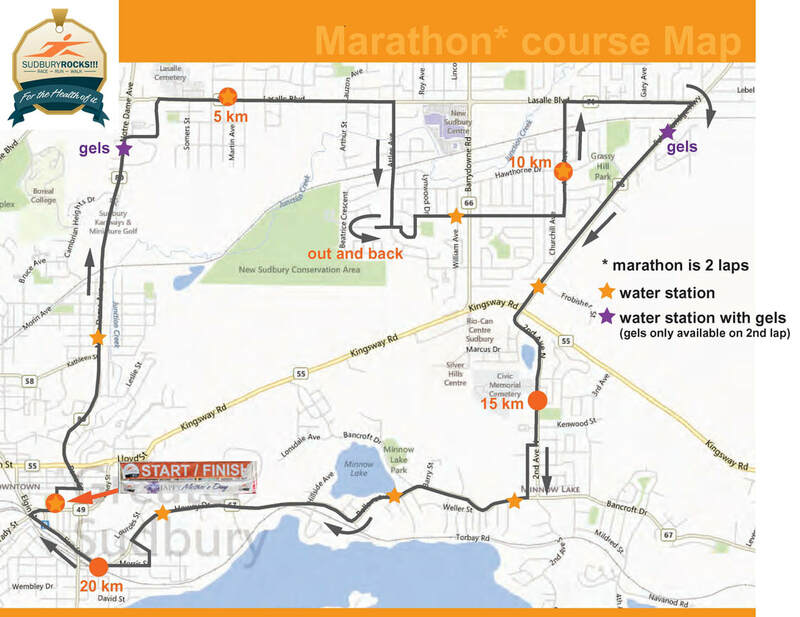 If runners are on the course after that time or after the pylons are removed they must move to the sidewalks. Official timing cannot be guaranteed after 2:00 pm when the course closes. Walkers start at 6:00 am and must note that while the roadway is pyloned and all markers are in place, police and marshals are not on duty until 7:45 am. Walkers must obey the rules of the road at crossings until the locations are policed.